When it comes to bed bugs, you are hiring Scottsdale’s best that are trained to detect and eliminate all bed bug infestations. We are not a general pest company – we only treat bed bugs. 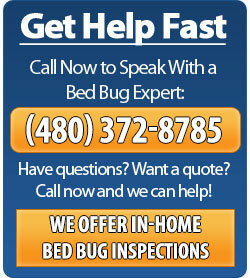 To request an estimate or bed bug inspection, give us a call at (480) 372-8785. 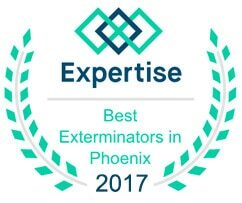 Cost of Scottsdale Bed Bug Treatment/Extermination? 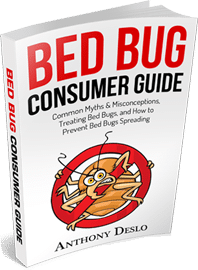 The price of a bed bug treatment is going to depend on which treatment option you go with, along with other factors like the square footage of your home, the severity of your infestation, and how much furniture you have. 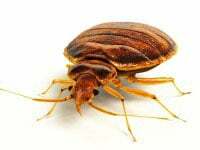 As mentioned above, your two options are either a bed bug heat treatment or a pesticide/chemical treatment. A heat treatment is going to be the more costly treatment, but it will provide you with instant, same-day results by killing all bed bugs and eggs. A pesticide/chemical treatment is going to be the cheapest option, but all bed bugs most come in contact with our chemical to die. You can always call us and we will provide an estimated cost for both treatments. With a pesticide/chemical treatment, your results will not happen in just one day as it would with a heat treatment. Bed bugs will need to crawl out from their hiding areas to come in contact with our pesticide. Existing bed bug eggs will need to hatch and also come in contact with our pesticide. This entire bed bug life cycle can take up to 30 days. 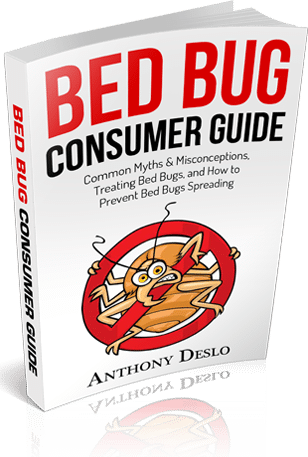 Is a Bed Bug Heat Treatment or Chemical Treatment Better? A heat treatment is going to the best type of treatment because it will eliminate the entire bed bug infestation (including eggs) in less than 8 hours. For extra protection, we also include a pesticide/chemical spray after heating the entire structure, just in case bed bugs were to be reintroduced after our heat treatment. 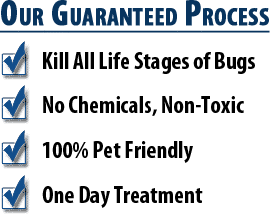 A chemical/pesticide treatment will also work, but most people do not want to wait 30 days for all the bed bugs to come in contact with our pesticide. The cost and pricing between the two treatments can be very different, but this is because a bed bug heat treatment requires much more time and specialized equipment. Q: Is the pesticide/chemical option harmful to my family and pets? Both of our treatments are not harmful to your family and/or pets. Every bed bug technician is a licensed applicator with the Arizona Office of Pest Management and uses products according to the labeled instructions. To keep your family and pets safe, make sure you are only hiring licensed companies! Q: How long does each treatment take? Do we need to be out of the house? A bed bug heat treatment can take anywhere from 6 to 8 hours. After we heat the entire structure, we also apply a chemical/pesticide treatment to help with the possibility of reintroducing bed bugs. You must remain out of the house the entire time during our treatment. If we are just going to be applying a chemical/pesticide treatment, this treatment type can take 1 to 2 hours. Everyone must stay out of the house for 6 hours after the spray is done to allow time for the chemical to dry. Q: Are there any guarantees that your treatments will work? Yes – with both the heat and chemical treatments, we offer bed bug warranties/guarantees. A heat treatment will come with a one year warranty, and a pesticide/chemical treatment can come with up to a 6-month warranty. Q: Is there any risk to my belongings or furniture being damaged? There is no risk to any of your belongings or furniture if you follow all the steps listed in our preparation checklist. We will be more than happy to walk you through the entire preparation checklist and you can always call with any questions you may have. 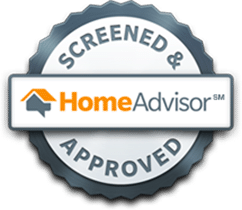 Q: What can I do now to start getting my home ready for treatment? First you should call us to schedule a bed bug inspection. This will allow us to determine the severity of your infestation, square footage of your home, and amount of furniture. After an inspection, we will be able to suggest the best treatment for your specific infestation.